The gold buying and selling industry has never been more stable. If you think now is the time to sell your jewellery, go straight to Pinto Gold and Jewellery Buyers. 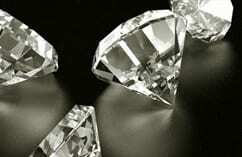 You can sell jewellery to us for the best rates in Toronto. 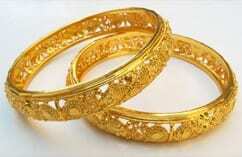 Why Choose Pinto Gold and Jewellery Buyers? 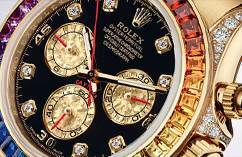 We are a Canada-based company which has a great reputation for buying gold and jewellery for the past two generations. We have experienced jewelers and certified appraisers of jewelry, gold, and precious stones. We treat our customers professionally and courteously, providing top notch services. We value privacy and confidentiality. We cater for long distance transactions by sending envelopes for mailing the items, providing convenience to all our clients. We guarantee safety and convenience, and we also cover insurance for all our shipping transactions. Over the years of providing excellent services to our valued customers, we have established wonderful relationships with our clients and partners in the industry of selling jewellery. We offer transparency by doing open appraisals of your jewellery, gold, watches, and many other items. 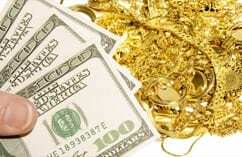 We pay for gold or silver according to the current market conditions, its purity and weight. The higher the Karat, the more your gold and silver is worth. With us, selling jewellery has never been so easy. 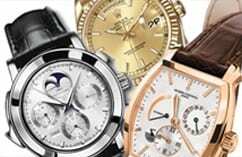 We will also loan you cash for your gold, jewellery, antiques, high-end luxury and Rolex watches, silver, coins, and more. For our customers who live in the GTA, don’t worry about not being able to make it to the store. Pinto Gold will send a qualified team member straight to your doorstep for an appraisal. Call us today to discuss any of your jewellery selling needs.